Mustafa Homes Rawalpindi is basically planned to give you congenial area for your living. Mustafa Homes Rawalpindi lies in the city of technologies, all job holders have exceptional opportunity to own admirable living area for your bright future. 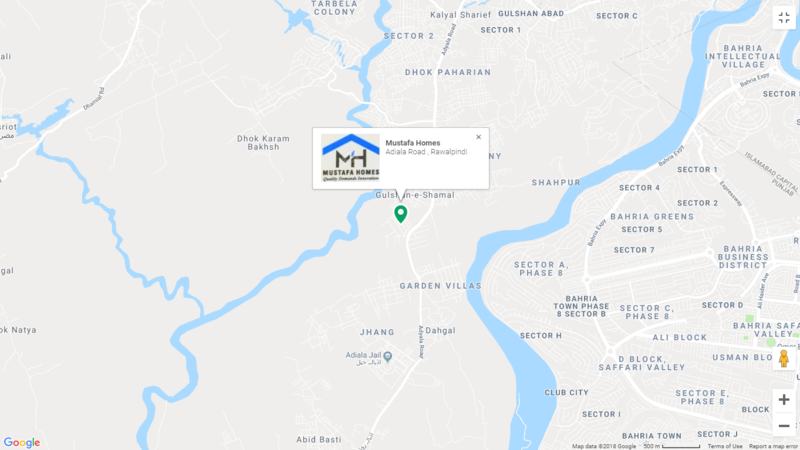 Mustafa Homes Rawalpindi is mapped according to clear click of dream residence. On the other hand if you are crazy to know about essentials, property plan, payment plan and exact location, I am sure by observing all the details you cannot stop your hand. It’s a genuine fact that you adopt the habits of surrounding, and when you have education and well mannered society around you definitely your skills grows up. To give you enhance modern living opportunity Mustafa Homes Rawalpindi has skillful management, that not only take care about your comfort zone but also gives you perfect entertainment. Just stay away from payment plan worries because economical range houses are mapped, all middle class have great opportunity to own your property. For more ease of all customers, you can enjoy flexibility installments for paying your payment. Get ready to know more updates about Mustafa Homes Rawalpindi. Mustafa Homes Rawalpindi chooses the right center location of Adyala Road. Al Shifa Polyclinic is located on the neighbourhood of Mustafa Homes Rawalpindi. Govt Elliot High School Morgah Rawalpindi is located at the walking distance form Mustafa Homes Rawalpindi. All inner areas of Rawalpindi are easily accessible by Adyala Road, you can even take public transport for visiting Islamabad and central areas of Rawalpindi. Actually payment plan comes in the list of those sensitive points at which all of decide to own any property. Most of you can afford heavy prices but they cannot pay complete amount at a time, in these cases installment may arranged by developers. If we talk about Mustafa Homes Rawalpindi payment Plan, you cannot found any objection because each houses is already tagged with economical price. For the more flexibility in payment plan Mustafa Homes Rawalpindi management has planned easy payment plan for you. All job holder and middle class clients can easily afford few amount of installment even having few asserts. Mustafa Homes Developers is real estate international brand who is always surprise their clients by launching adorable residential and commercial projects. Again Mustafa Homes Developers are appear to give you another landmark residential project in the well developed city Rawalpindi. Mustafa Homes Developers are pleased to announce that Mustafa Homes Rawalpindi is finally launched for booking. Mustafa Homes Rawalpindi is amazingly mapped to give you adorable ready to live houses in the heart of centered location of Adyala Road. To know more about Mustafa Homes Rawalpindi project, please participate in the following discussion. Mustafa Homes Rawalpindi follows a flexible and adorable property plan because they are offering variety of houses for your living. According to customers demands both single storey, double storey houses are waiting for your visit. You can capture the clear image of quality by observing the modern state of art, all living necessities and excellent material for construction. On rapid basis booking are continue, don’t spend more time in planning to own the property, simply visit the actual location I know after first experience you cannot stop your hand. Just think about eh inner area of Mustafa Homes Rawalpindi, you are sitting in your room and fresh breeze touches you from your window and morning light glow your house with sunlight and greenery all around you. Stunning, definitely it’s a clear image of dream house near all of you. In single and double storey house you can enjoy complete luxuries of living without any space issues. To know actual information about Mustafa Homes Rawalpindi property plan, you have to go through from following key points. For the well planned ready to live houses, Mustafa Homes Rawalpindi is mapped on the basis of modern architecture. Developers have mapped amazing building with admirable basic necessities and modern royal living luxuries. 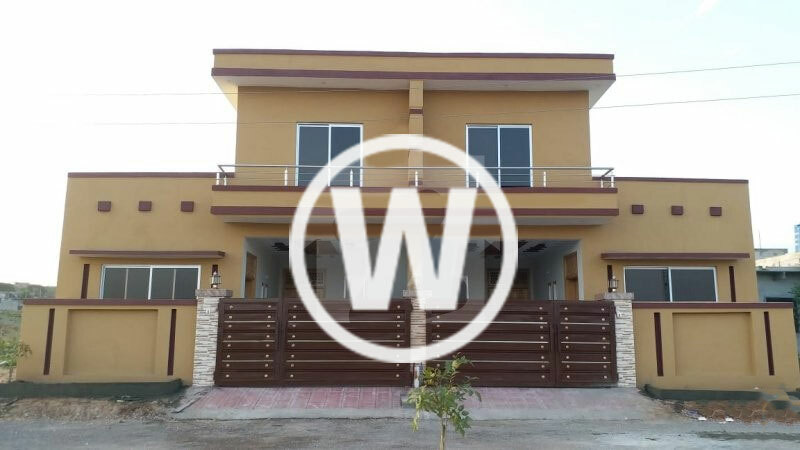 In the industrial city Rawalpindi, it’s hard to found all features of living but here Mustafa Homes Rawalpindi is offering you dominate location living with adorable comfort zone. If you are interested that your child grows up in the educated and sophisticated zone, you must try to visit Mustafa Homes Rawalpindi as soon as possible. The main attraction of customers is commercial area, educational institutes that are closely connected to Mustafa Homes Rawalpindi. You don’t need to follow long ways to approach health centers, because well developed Al Shifa Polyclinic and Samarzar Medical Clinics are located nearby Mustafa Homes Rawalpindi. In case of any emergency you can consult with expert doctors. GB Grill & Catering, Top Taste, Burger Empire, Chill Out Restaurants all are located in the surrounding of Mustafa Homes Rawalpindi. You can grab your food at the walking distance from your home. If you talk about entertainment, you will be shocked to see the amazing theme park near Mustafa Homes Rawalpindi. Children Park, Pghsf, Garden Villa’s park are located on the walking distance from adorable residential project none other than Mustafa Homes Rawalpindi. For offering prayer, Sadiqa Mosque and Jamia Mosque Gulzar- e – Madina are mapped in front of newly launched project, Mustafa Homes Rawalpindi. To know complete key points of Mustafa Homes Rawalpindi, you must scroll down your page.